West Midlands law firm mfg Solicitors has expanded its footprint in the region by merging with a Birmingham-based practice celebrating its centenary anniversary this year. 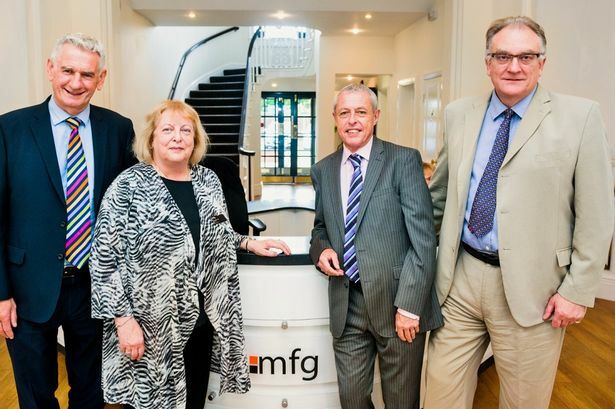 mfg, which has five offices across Worcestershire and Shropshire, has teamed up with Pearson Rowe, a two-partner firm which employs 13 staff at its office in the Jewellery Quarter. Specialising in a variety of legal services, Pearson Rowe was originally founded on Colmore Row in 1918 by Geoffrey Pearson. mfg has 35 partners and 151 staff at its headquarters in Kidderminster and offices in Bromsgrove, Ludlow, Telford and Worcester. Terms of the deal were not disclosed and the Birmingham office will now be known as mfg Solicitors incorporating Pearson Rowe. Partner and managing director Suzanne Lee said: "We have continued to grow both organically and commercially over recent years and have been carefully focusing on the best and correct strategic opportunity in Birmingham for some time. "To gain a foothold in Birmingham&apos;s thriving legal market through a merger with such a respected city law firm is therefore perfect for us. "We feel we complement each other perfectly and our existing team of experts will add superb value to Pearson Rowe&apos;s clients as they merge into mfg. "It is another exciting chapter in our success story and we are delighted to be launching the mfg brand into the second city." Brian Flint, partner at Pearson Rowe, added: "As a firm, mfg Solicitors has a hugely talented group of lawyers who are making an impact across all areas of private and commercial law. "To be part of mfg is a big milestone for us as we mark our 100th year as a firm. "More than anything, the merger will see us delivering a far greater breadth of advice for clients in and around Birmingham." mfg has previously merged with Ludlow firm Phillips & Co and Bromsgrove practice Scotts Holt & Sellars.